If you just had a wonderful bridal shower and want to say thanks to people for their presence, just make some bridal shower thank you cards with this template. Such customized cards must be considered as a sweet present in return. 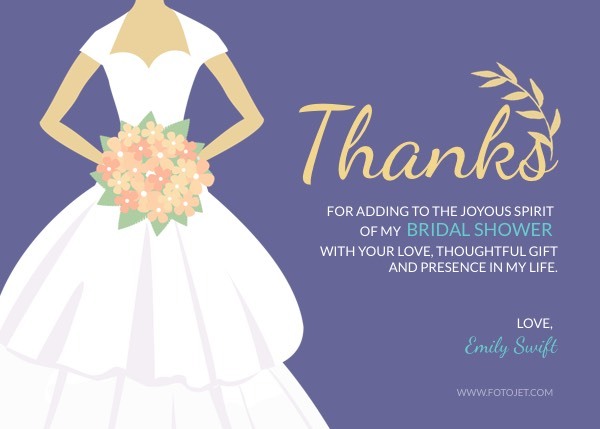 This thank you card template featuring a bride image and some sweet thank you message makes it easier to deliver your appreciation. Take a few minutes with this template to replace the background, fiddle with stylish fonts and add your own photos and clipart images to get some personal designs.